This weekend was a game changer in the waffle world. I decided to use the extra sheet of puff pastry that was lurking in the freezer from having company last weekend and throw it to the waffle iron. I’m glad I did because LOOK AT THIS. 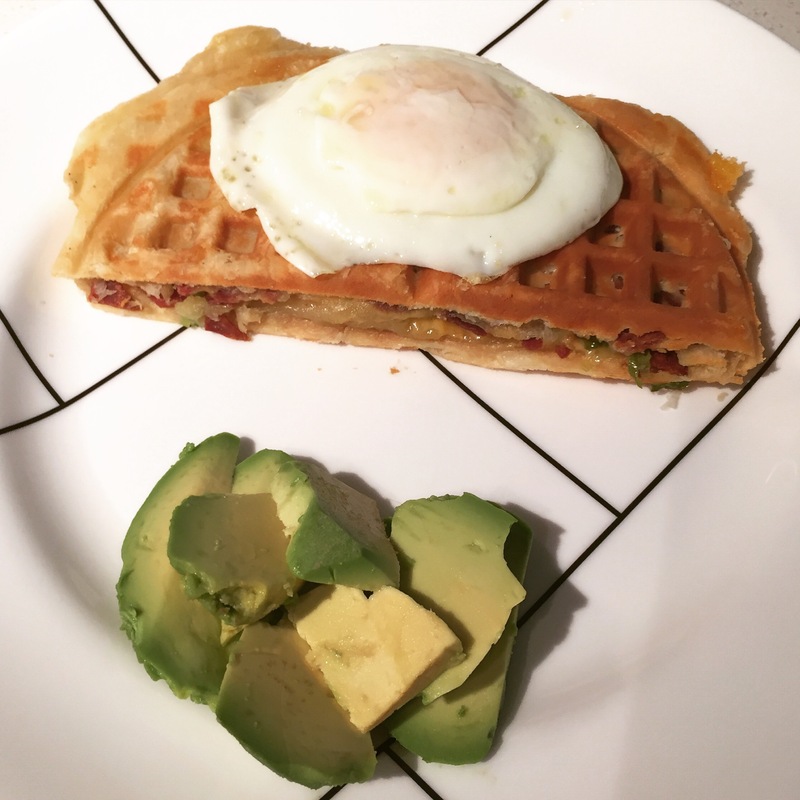 That’s a waffle stuffed with crumbled turkey bacon, chives, and aged cheddar. Yessir, I cleaned out the fridge and put it in a waffle. The results were rather impressive if I do say so myself, and the process was ludicrously easy. If you spend the night at my house, I’ll proabably (force) feed you this. Maybe I’ll even throw a fried egg on top for good measure like I did here. 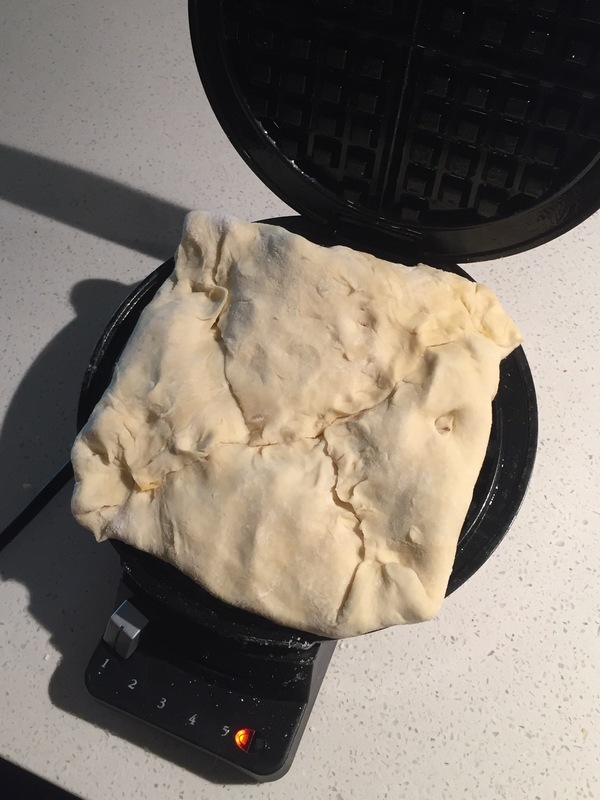 All you do is unroll a thawed puff pastry sheet over a (turned off waffle iron). Top with whatever you have on hand. Fold up the sides to create a waffle envelope. Make sure to pinch the seams so that minimal cheese escapes. Seven-ish minutes later…. Voila! Waffle time! 3/4 c. shredded GOOD cheddar. The aged stuff. Not the package stuff, although that would probably be gooey-er and fantastic too. Thaw puff pastry. In a pinch you can even do this in the microwave for this recipe. Spray both sides of waffle iron with cooking spray. Roll out puff pastry sheet over the waffle iron while it is still turned off. 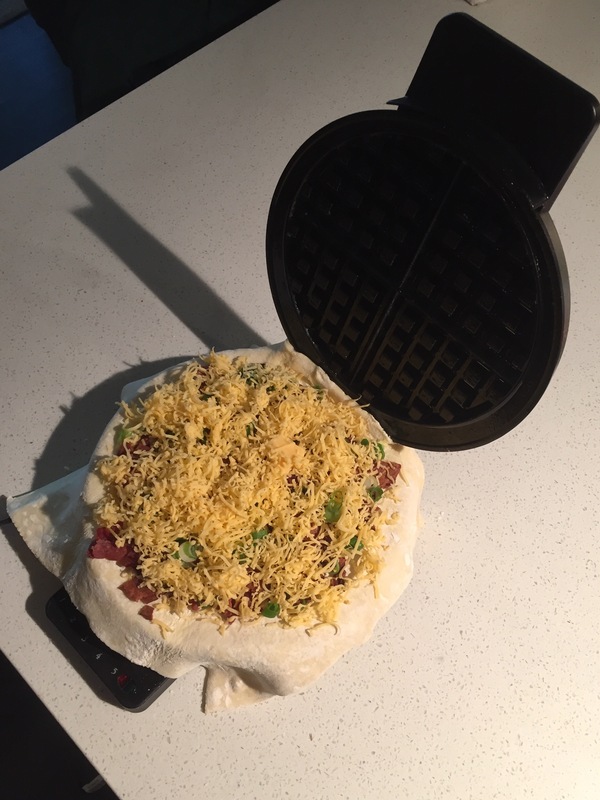 Top the dough-clad waffle iron with bacon, onions, and cheese. Fold up droopy sides of dough, sealing seams as best as possible. Use high setting on waffle iron and cook waffle for 5-7 minutes, until golden brown. Since your waffle is probably “tall” like mine was, stuffed full of goodness, you may need to gingerly lift the mostly cooked waffle and rotate. The part of the waffle that was by the hinge of the iron gets cooked less that the front part. Rotate until all sides of the waffle are cooked and brown. Remove from iron and cut into 2-4 pieces. Or hell, one is fine, too. Top with fried eggs if desired. Bees’ knees! This looks rad.